Jan joined Caldwell Trust Company in 2001 where she serves as Director of Fiduciary Services and Sarasota Manager. 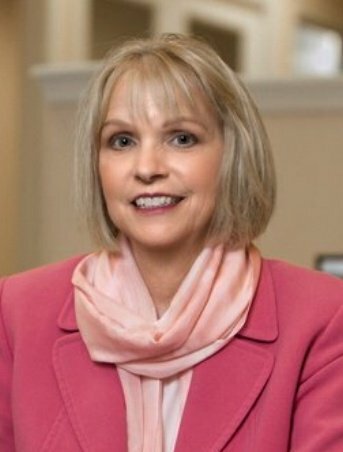 Jan began her career in the financial services industry at Winters Bank in her native Dayton, Ohio while attending Sinclair College. In 1977 Jan moved to Sarasota to join the Trust Department of Southeast Bank, and upon completion of the Florida Graduate Trust School in 1981, Jan became a Trust Officer, and eventually Senior Trust Officer, for the Bank. She has successfully completed the curriculum through the College of Financial Planning. As the trust industry changed focus toward selling investment products, Jan left the business unwilling to put herself at conflict with her clients’ best interests. She returned to the trust industry when introduced to Caldwell Trust Company by a former colleague who was one of Caldwell’s founding directors. Always passionate about the community, Jan has served as Chair Emeritus of several local Boards and currently serves as Vice Chair of Tidewell Hospice, Vice Chair of Stratum Health and serves on the Development Committee of Mote Marine Laboratory assisting in their planned giving efforts. Jan is married to Jim Culter, Senior Scientist and Program Manager for Benthic Ecology at Mote Marine Laboratory, where he has worked since 1979. "We Are Unique Because We Don't Sell Products."